Today at the Steve Jobs Theater, Apple detailed a variety of services it plans to launch from now through the end of the year. 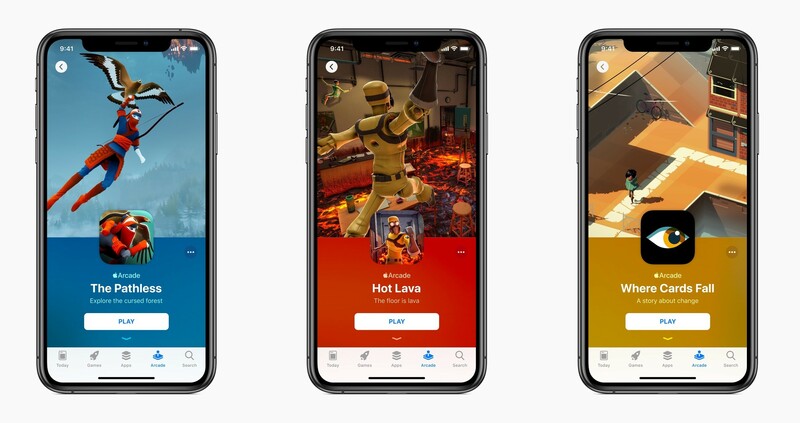 In addition to the expected services for video, news, and an iOS-integrated credit card, perhaps the event's biggest surprise was Apple Arcade, a gaming subscription service debuting this fall. Apple Arcade will feature no games currently on the App Store, but will instead serve as the only way you can play 100+ new games on iOS. As part of announcing Apple Arcade during today's event, Apple shared how the gaming market on the App Store has increasingly become dominated by free games with In-App Purchases, such as Fortnite, making it difficult for indie paid up front apps to find success. While clearly Apple's happy to continue raking in those Fortnite bucks, in noticing this trend the company has also sought to find a better path forward for the makers of smaller indie titles. Apple Arcade is that path forward. When it launches in the fall, Apple Arcade will feature over 100 brand new games that are exclusive to the service. The term 'exclusive' apparently means you can't play them on iOS unless you subscribe to Apple Arcade, not that they won't exist on other platforms. Some of these titles are being partially funded by Apple themselves, and the company plans to continue working with indie teams big and small to help provide a steady stream of new releases for Apple Arcade. Games included in the Apple Arcade service will live in a new Arcade tab of the App Store app on iOS, which replaces the current Updates tab. 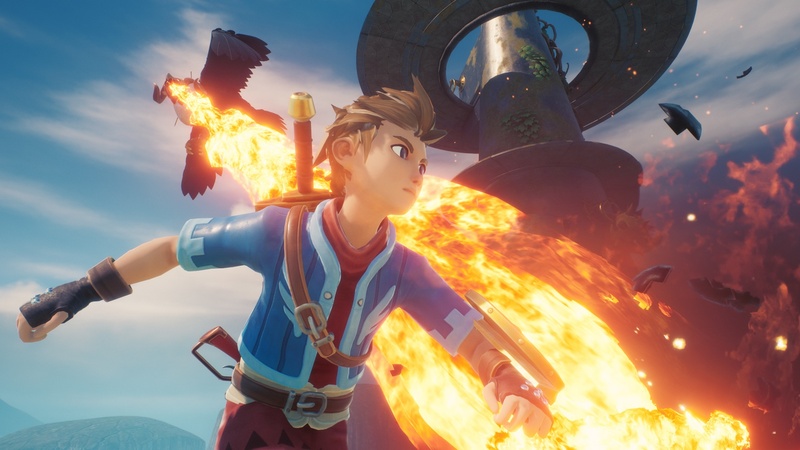 You'll also be able to play these titles on the Mac and Apple TV, with each title offering a seamless experience across devices so you can stop playing on one device and pick up where you left off on another. One of the appeals of Arcade is that it's meant to provide a consistent, reliable experience in terms of certain distinguishing characteristics of its games. 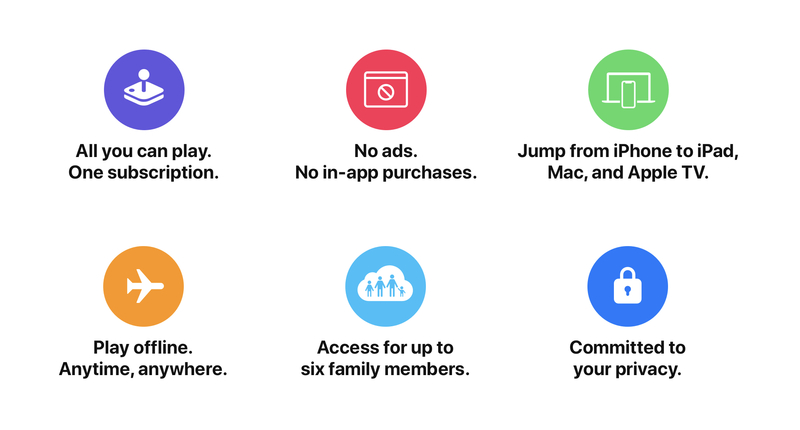 Apple highlighted that every Arcade title will be entirely ad-free, will not require an Internet connection to play, can be shared with family members through Family Sharing, and will include no In-App Purchases. 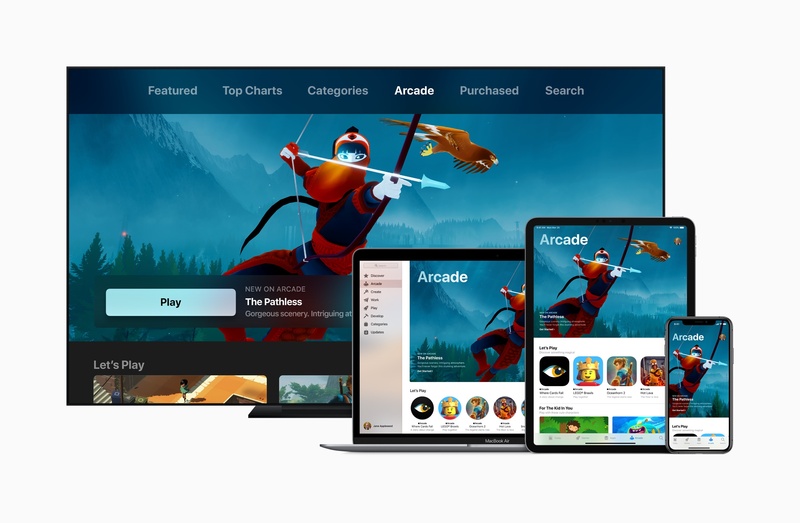 Pricing has yet to be announced for Apple Arcade, but it's likely that in addition to a standalone subscription option, Apple will also provide a discount of sort via bundling with other services such as Apple Music and Apple News+. When the service launches, it will be available in over 150 countries and regions around the world. When rumors first began swirling earlier this year of Apple working on a subscription service for games, there was concern about what this would mean for the existing business models utilized by games on the App Store. Arcade's focus as a service for new games only, with notable guarantees such as cross-device support, offline gameplay, and the absence of In-App Purchases, is an interesting way to offer an alternative – but not replacement – for what's currently on the App Store. Apple's prioritization of curation and quality is reminiscent of a theme found with the company's upcoming video service as well, and I'm excited to see how it plays out in the area of games.